A Banchory councillor is urging councillors to listen to constituents and retain a free period in the region’s car parks. Her warning comes ahead of a crunch council vote on the issue on Thursday. A bid to scrap the free period was halted last November after opposition councillors on the infrastructure services committee insisted that any decision on the change should be taken instead by all 70 councillors at a meeting of this month’s full council. The local authority is proposing changes to the parking strategy across the region to address a car parking budget deficit. Speaking ahead of today’s meeting, Councillor Durno told the Piper that many local business leaders and constituents have contacted her to express their outrage with the proposal to end the 45-minute free car parking period from Banchory’s “pay and display” town centre car parks. 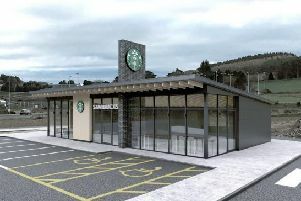 She said: “Local businesses are seriously concerned this will lead to a negative impact on trade by decreasing an already declining footfall to Banchory’s High Street shops. “Myself and my SNP colleagues will not be supporting this proposal, and we will instead be arguing to keep a free parking period as most people using the current free 45-minute period do so to visit the medical centre, the chemist, the bank or post office. She added: “Alternatively, visitors might be making some kind of ‘grab and go’ purchase from an array of other high street shops. If they are forced to pay for making even a brief stop-off, many customers will choose to go to the out-of-town supermarkets instead. “I cannot believe the Conservative and Lib Dem members of the infrastructure services committee are happy to take that away without giving serious consideration to the wider economic implications. “Every administration councillor now has a vote on this, and with it, a choice to make - whether to back the ‘party line’ or to do what is right by their communities. At the committee meeting in November, chairman Councillor Peter Argyle stressed that around 75% of all parking remained free in the region’s towns through off-street spaces and said there were no proposals to change that. He added that the focus was on the free element within the 25% of paid-for spaces which had lead to a huge impact on the budget which was “not sustainable”.